Yep it's official, March is over, and I was thinking what should I include in my monthly favorites this time, and honestly it was so hard for me to find products to show you because I didn't have that many favorites this past month! So you will only see six products this time, but for sure these six are the ones that I really enjoyed using within March. So let's begin! I only got this a few weeks ago but it became my favorite already! 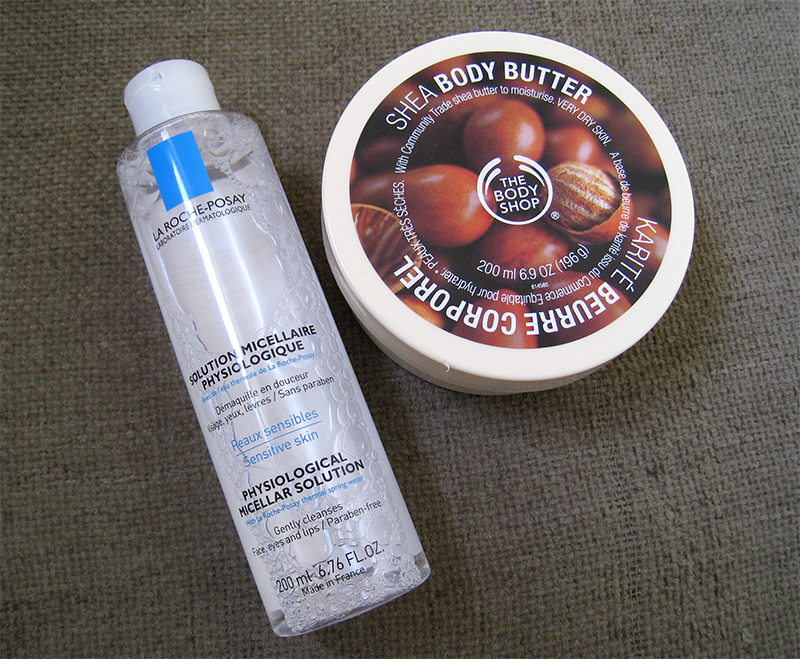 Its formula is very similar to my other HG, Vichy's Purete Thermal Micellar Lotion. I think it's perfect for oily skintypes like mine, whenever I use this to remove my face make up there's no need to cleanse my face right afterwards, because it doesn't leave my skin sticky, like the Vichy one does. I think it's the perfect micellar lotion for the summertime! Shea Body Butter from The Body Shop was actually the first body butter I've ever tried from them when I was still a teenager, and many years after it's still my favorite scent from all the ones I've tried. 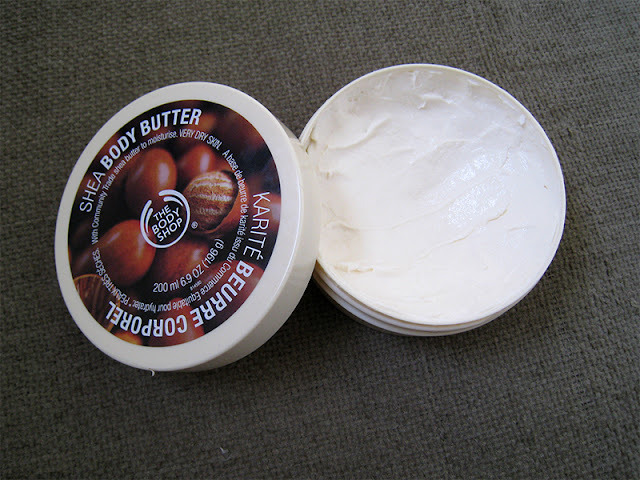 It has a warm buttery scent, that sometimes makes you want to eat it, and not that vanilla-buttery scent but more of a nutty-buttery one, which is mush better because it's more mature and less nauseous. I opened the jar at the beginning of March and I've already used 1/3 of it. I seriously love it, even though it's very thick, I don't mind that! Buck it has become my HG crease eyeshadow, it totally replaced my love for Mac Cork. Buck is a little darker and warmer, and goes well with all my neutral eye looks. 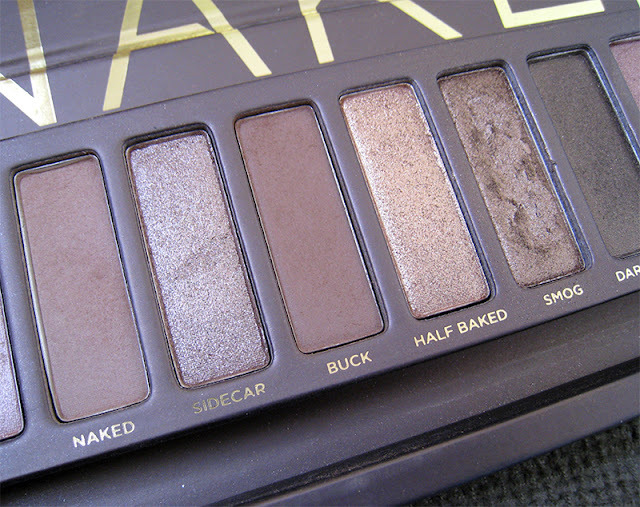 This and Smog are definetely the only eyeshadows I'll definetely purchase in full sizes when I'll hit pan on my Naked palette. This product is a pure miracle! I noticed the good results even only one month of using it. My eyebrows look definetely fuller, and it fixed my problematic left eyebrow, which has always been the weakest one, now it looks way more fuller and I cannot tell a difference between my left and right brow. Love it! I never thought that I would ever include this product in one of my monthly favorites, and that's because when I bought it last year I immediately hated it! I didn't like it at all, I thought it was sticky and nothing too special! I don't know what got into me and when I saw it in my make up stash I decided to give it a second chance. I was using it for a few days until I decided that I really like it, and now I can't stop using it. Most of the times I use it alone with a neutral pink lipliner. 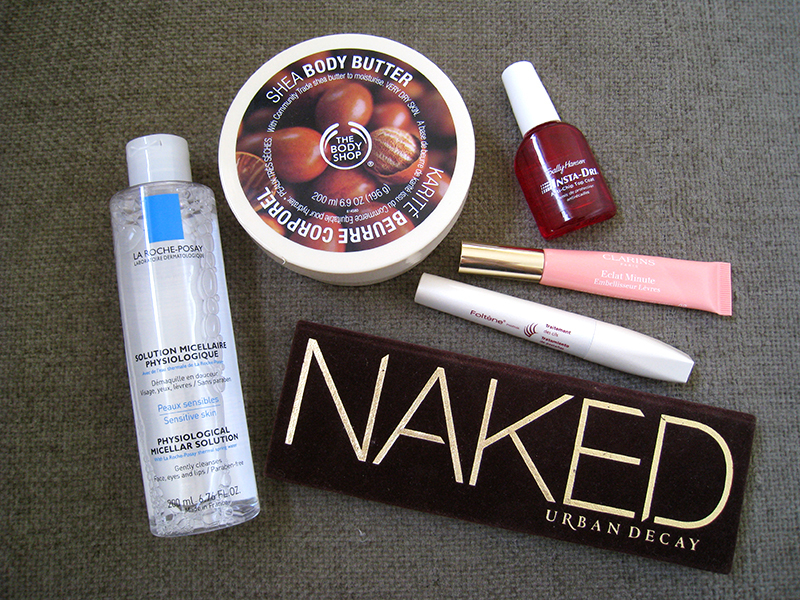 But I'm not sure if I'll repurchase it again because it's very expensive! 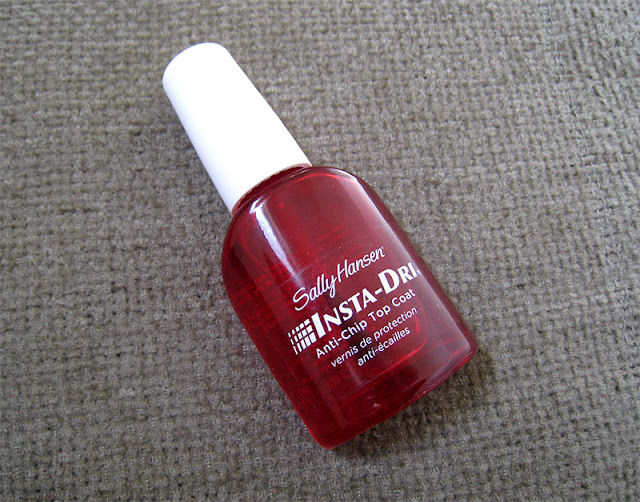 This has totally replaced the fast drying top coat I was using from Poshe. It does the exact same job as the Poshe one, but it's thinner and also doesn't shrink my nail varnishes. I'll definitely repurchase it but only if I'll be able to find it in a reasonable price here in Greece. This is my only non beauty favorite for this month. I love Justin Timberlake's songs since I was a teenager, and I was waiting for him to release a new album for seven whole years! 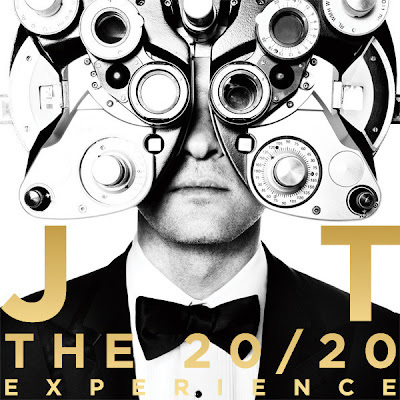 Overall I don't think this is his best album so far, but it definitely has a more mature sound and I really love 3 songs from it, the Tunnel Vision, Don't Hold The Wall and Mirrors, I can't stop listening to them for days! I hope you enjoyed my monthly favorites this time, even though they were only a few! Have you tried any of them? Do you like Justin Timberlake's new album? to lash treatment fainetai poluuuu endiaferon!!!! χμμμ εχω αρχισει να γλυκοκοιταζω την naked τελευταια.οσο για το justin κι εμενα μ αρεσειιι!! ααα και πανω που χαζευα χθες το lrp micellar στο φαρμακειο. ειχε και μια προσφορα τα 400ml στα 13ε. εχεις δοκιμασει το bioderma? Νια κ ειχα προβληματα με το Bioderma, μου προκαλεσε δερματιτιδα, και ας ειναι για ευαισθητα δερματα, στο δικο μου δεν εκατσε καθολου καλα! Μου ανάβεις φωτιές!! Και με το Foltene και με το Apricot Shimmer που για καλοκαιράκι ειδικά θα είναι όνειρο και με το Insta-Dri που καίγομαι να δοκιμάσω.. Πάρα πολύ ωραίες επιλογές όλες!! Της La Roche Posay το Micellar δεν το έχω δοκιμάσει, έχω κόλλημα με το bioderma που είναι το μόνο που δεν ερεθίζει τα μάτια μου και φοβάμαι να κάνω δοκιμές.. αν και εμπιστεύομαι La Roche, οπότε ίσως στο μέλλον το τσεκάρω.. 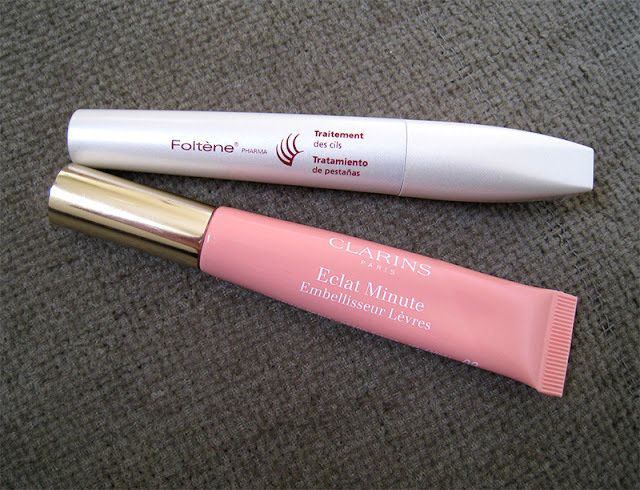 I just bought the new clarins lip perfecter shade in Paris (not out here until next month) and I LOVE it so I totally agree with that! i also agree at first I was a bit unsure but it's definitely grown on me! !